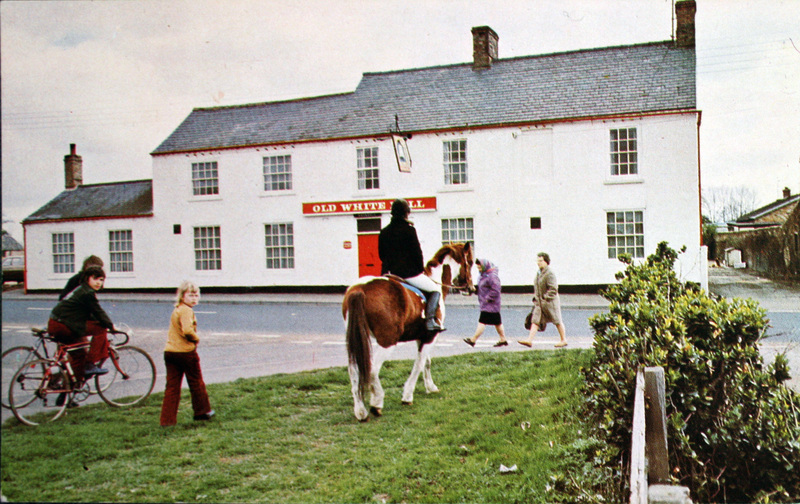 Photograph from a postcard of the Old White Bell at Southery, formerly 'The Silver Fleece' where Mucky Porter was landlord. This story by Gordon Phillips is based on different tales in the books “Tales of the Fens” and “More Tales of the Fens” written by Walter Barrett and edited by Enid Porter. Walter, or Jack as most locals knew him as, grew up in Brandon Creek and most of his tales were adapted from those told by the legendary fen man and storyteller, Chafer Legge. In the fens in the past there was a secret brotherhood and sisterhood of the Grey Goosefeather. True fenlanders would carry a feather from the fowl who overwintered in the watery places and when in need they only had to produce the feather and all true fenlanders would help them. At the time of the English Civil War there lived in the village of Southery, on the Norfolk border of the great wilderness, a publican by the name of Mucky Porter. One evening he was counting out his money, his takings for the day of which there was very little, when there came a knock at the Inn door. Mucky Porter looked outside and saw two very fine looking gentlemen with two extremely beautiful thoroughbred horses outside in his yard. He wondered what such affluent looking folk could want with him and hurried to the door. “Are you the man they call Mucky Porter?” They asked. “I might be, it depends on who wants to know”, he replied letting them into the pub parlour. “Well I don’t think much about him except he’s the reason that my takings have been rather low recently. 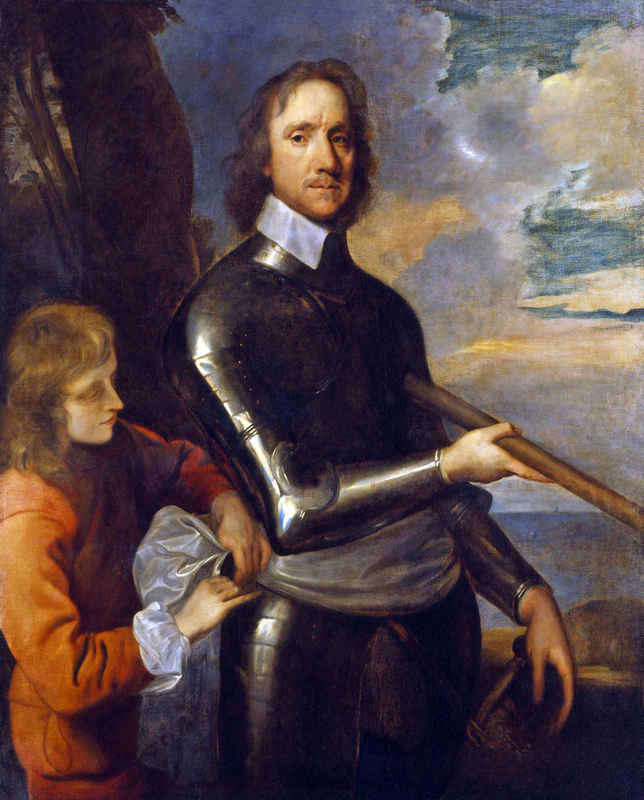 Nearly all my regulars have gone to fight in his army as he says that he’ll put an end to the draining of the fen and interfering with their way of life,” he replied. It took Mucky Porter at least three seconds to decide and later that night he was brought before the King himself at Snore Hall near Downham Market, where he was being hidden. Some of the King’s attendants were dubious that this raggedy looking local could be trusted with the fate of the monarch and Mucky was asked for some proof that he was trustworthy. At that Mucky Porter drew from his pocket a grey goosefeather. He took out his knife and cut the feather in half. This seemed to satisfy the members of the court and the following morning Mucky Porter of Southery and King Charles 1st of England set out across the last great wilderness of Southern Britain. At first they passed through populous areas and Mucky Porter was concerned that their presence was being noted by those they came across. The detour took them to Southery and the inn where they stabled the thoroughbreds they were riding and took to two sturdy fenland ponies instead. Mucky Porter also got a couple of old sacks to put over their clothes and as they passed out through the village streets they went unnoticed. Mucky Porter was indeed an expert at finding his way through the fen and they passed through areas that few knew and even fewer dared themselves to visit. Thus they came eventually to the other side, to the ford in the river just outside Huntingdon. There, however, their hearts sank as it was strongly manned by Roundhead troops. “Halt, who goes there?” called the sentries. At this Mucky Porter put his hand into his pocket, took out the split grey goosefeather and held it aloft. The troops turned their gaze on the King who put his hand in his pocket and did the same. And what of Mucky Porter, back in the inn at Southery. Perhaps he shed a tear when he heard of the execution of the King, we do not know. He was still landlord many years later when he heard of the death of Old Noll and it unlikely that he was very upset at that. One day, when Mucky Porter was getting very old but still landlord at the pub there came a knock at his door in the early morning. He went to the window and saw a number of fine looking gentlemen out in the yard. He went outside and greeted them. 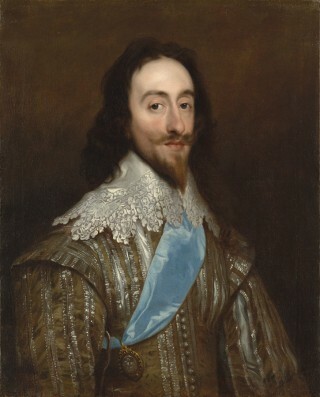 Mucky Porter very quickly realised who the visitor was and within a few minutes had agreed to accompany Charles 2nd and his courtiers out into the newly drained lands. The company was amazed when the old fenlander emerged from his stable riding a fine thoroughbred horse, the descendent of the two horses he had obtained all those years ago. Mucky Porter stared around him. And ever since that day the land on Methwold Fen has been called the Methwold Severals. And ever since that day it has been farmed by a Porter.